Krisia Todorova was born on June 1, 2004 in Varna in the family of Angelina and Marin Todorov which currently lives in Razgrad. She has two sisters - 5-years old Marina and 13-years old Tiffany. Even when she was a baby clairvoyant predicted to her mother that she would become a great star, famous not only in Bulgaria but abroad. 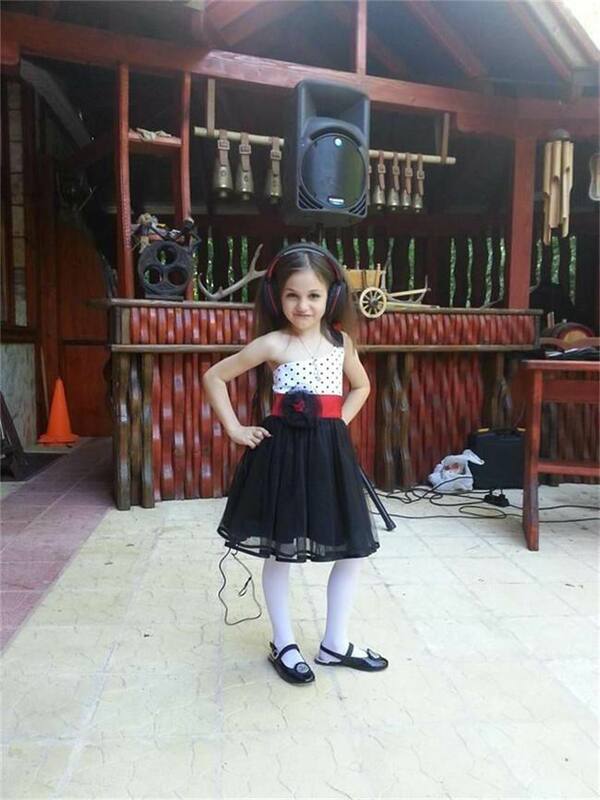 On the stage she is from the age of three, when she began performing at a number of festive events in Razgrad. Since the age of 4 she has been dancing in "Emi Dance" school, where she practices folk dance and ballet. 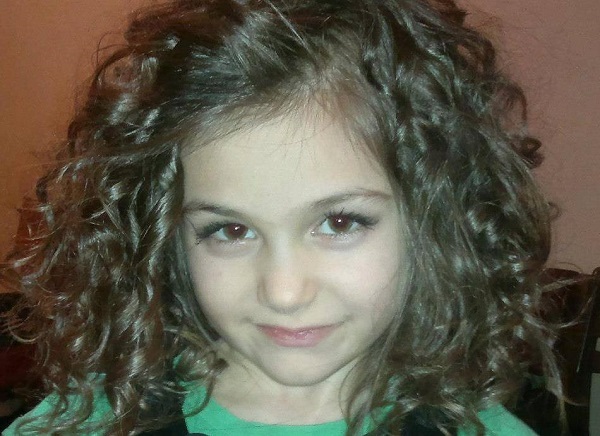 Her mother took her to audition to the school "Ilija Burnev" in Razgrad. There she started developing her voice and then she has started working with a special vocal coach in Targovishte. However, since it was difficult for her mother to cope with caring for three children, she had to stop lessons in the nearby town and continue her musical education locally with teacher Svilena Decheva of Center for Children in Razgrad. She has won numerous awards, over 10, and half of them are Grand Prix, including festival "Medeni zvencheta" in Kubrat. Father of a little girl is a hotelier and thus earning enough money to fund lessons and festival trips for his daughter, and also to allow her mother to guide her in competitions. To the delight of parents, their daughter has a versatile talent - in addition to singing, playing piano she also dances well and skillfully paints. "I have explanation to her skills in dancing and piano, I myself graduated from ballet school and I was a ballerina in the Opera House. In our family there was a lot of musicians. But when it comes to singing I have no idea, there are no people with such quality in our family", wonders mother of Krisia. "She knows loads of songs in English, even thought she hasn't yet studied languages. Once she heard something, she remembers it and sings. It's a gift from God, which is very rare". Krisia's sisters are also talented - Tiffany dances extremely well, and little Marina - paints. Last but not least Krisia is an excellent student in the school, although 6 times a week she has singing lessons, dance and piano. To everyone's surprise, her favorite subject in school are math and "Man and Society". She is also great mathematician and her tiny little head sometimes feels like calculator. However, due to preparations for Junior Eurovision Krisia had to take a break from her school studies up to the end of November, since she has to spent most of the time in Sofia. Krisia's dream is to become a singer or an actress. Her favorite singers are Christina Aguilera, Beyonce, Celine Dion and Whitney Houston. The little girl from Razgrad hopes one day to be as good as them, but she is well aware that she has a lot to work for it. From local pop stars she prefers Lili Ivanova, Mariana Popova, Maria Ilieva and Miro. Girls has many favorite singers, but no favorite meal. "I'm not eating as much as I listen to music," she laughs. Krisia loves to ride bike and rollerskating, and because there is a big hill near her school, Krisia enjoys skiing there in winter time, even winning diploma for the best skier among her classmates. Her latest hobby is... fishing, and recently she managed to catch in the lake near Razgrad a 5-pound catfish and carp. The real breakthrough, however, came with her participation in the casting for the position of the stage partner for the winner in the "Razsmei Slavi" (Make Slavi laugh) Dimitar Andreev for "Slavi's Show" (Bulgarian version of Late Night Show). Slavi Trifonov was planning to appear with them together in Friday part of the program "Zapoznai se s malkite" (Meet with the little). Krisia first appeared on the show on December 30 performing song of Beyonce. The video with it gained more than 100.000 views in just few days. Thanks to her unique voice and stage presence, she was able to gain the sympathy of millions of Bulgarians and place first at the selection. This success brought her the chance to perform regularly in front of the viewers of the program. Krisia's performances in the show (including evergreens like "Lane moje" of Željko Joksimović, ABBA's "Mamma Mia", "My Heart Will Go On" and many others) can be seen here. 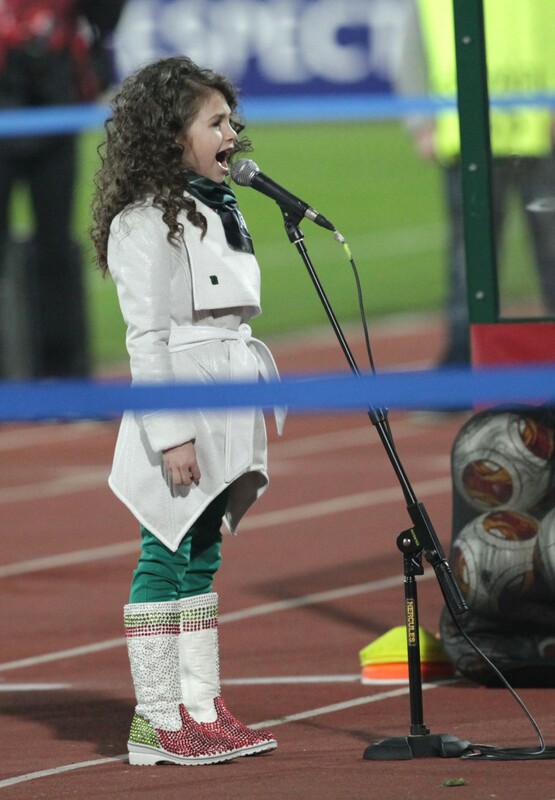 Several weeks after casting little Krisia sang Bulgarian national anthem at the stadium "Vasil Levski" in a match of Europe League between the teams Ludorogets (Razgrad) and Valencia, which was witnessed by more than 43 000 people at the national stadium in Sofia. More videos of Krisia are available here and here. Given the importance of her new challange, Krisia won't be alone on stage in Malta as she will be accompanied by two young and talanted pianists - Ibrahim and Hassan Ignatovi from the city of Shumen. The twins are also discovery of Slavi through "Peeschi semeistva" (Singing families) show. Watch brothers appearances in "Slavi's show" here. 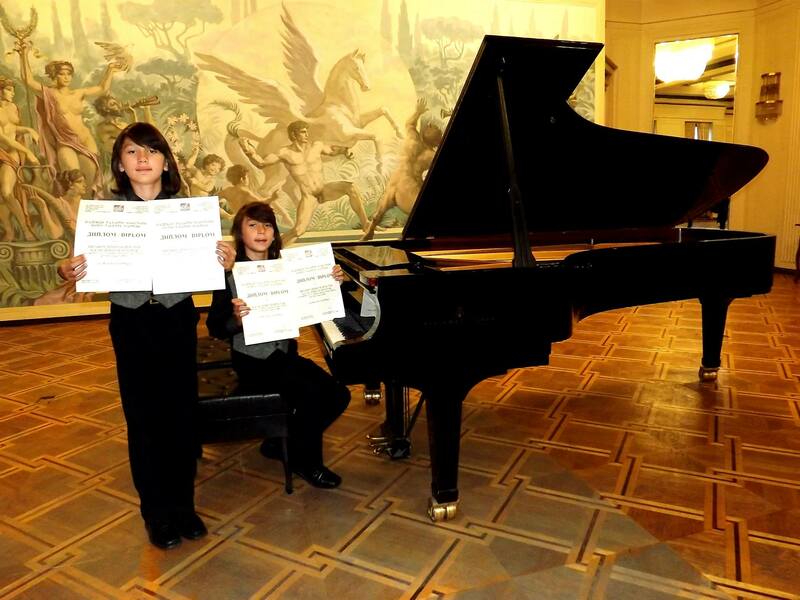 Hassan and Ibrahim (born December 15, 2003) are winners of about 20 Bulgarian and international piano competitions. Music institutes from Russia, Switzerland and Denmark have already offered the talented pianists to continue their studies abroad. Children and their parents are still discussing the terms and consult whether to choose a study abroad option. Hassan and Ibrahim Ignatovi have been awarded by "Dimitar Berbatov" foundation at the sixth annual awards "Successful children of Bulgaria". 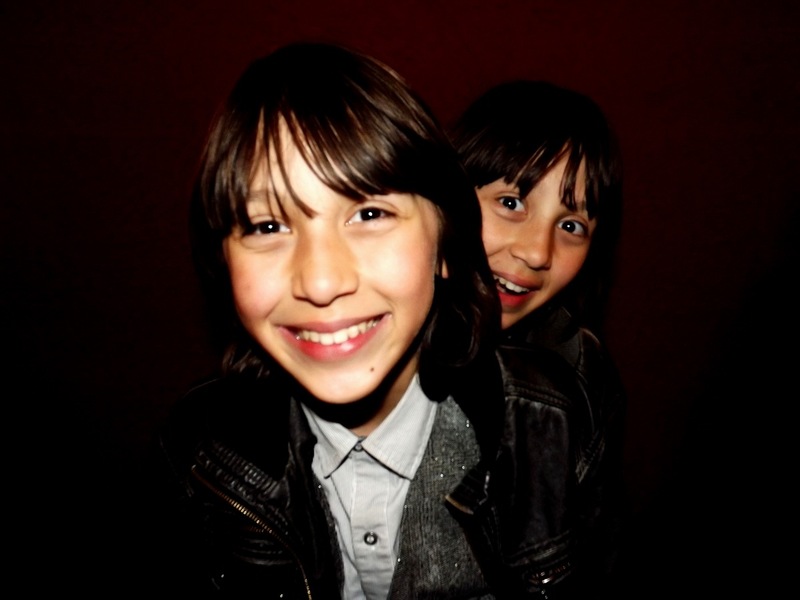 Their 17-years old sisters Nermin and Merlin are also twins, and are folk and pop singers. At the age of 5 they both received their first musical guidance from their father, Denis Ignatov (who himself plays traditional Bulgarian bow stringed instrument gadulka in folklore ensemble), and having started playing the piano at the age of 8, and have achieved remarkable results in less than 2 years of practice. For the first time they touched keys on the piano in the music room of the school in Shumen with teacher Marinela Marinova. 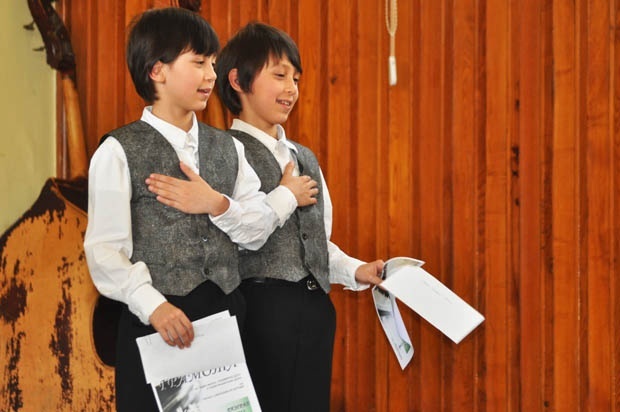 Twins have moved to Shumen after completing 1st class in town of Kaolinovo, since their father had no doubts in their musical talent and that they need to start studies in the music school. In summer 2011 he took the family and relocated. Before that brothers only used to play old home accordion. On November 17, 2012 Ibrahim and Hassan appeared in the first international competition "Andrei Stoyanov", to which they were invited by professor Alexander Tekeliev. In his age group Hassan took first prize and Ibrahim finished 4th. To date they have individually participated in around 20 competitions, 3/4 of them international. As a piano duo appeared on 7 competitions and festivals. In most cases they won the first or second prize in their category. Up to date Hassan has received over 20 awards from different competitions for pianists in Bulgaria, Turkey and Macedonia and Ibrahim has 19 awards to his name from several domestic and overseas competitions. Find the complete list of their awards here. While their peers play on the computer or are playing sports outside, the twins practice on the piano 4-5 hours a day, and where they have concerts - up to 10 hours. There is also competition ongoing between brothers which continues at the contests when they appear individually. Some of their highlight performances include: International Competition "VIVAPIANO" 2014 - Hassan Ignatov; International Competition "Franz Shubert 2014" - Ibrahim Ignatov; National Competition "Svetoslav Obretenov" - Hassan, Ibrahim; International Competition - "Liszt-Bartok-Ligetti" 2013 - Ibrahim, Hassan; Concert with Shumen Symphony Orchestra 2014 - Hassan and Ibrahim; International Competition "Pera Piyano" 2014, Istanbul, Turkey - Hassan and Ibrahim. Other videos of Ignatovi brothers performing can be seen here and here. In just three years, they have become true professionals. Musician Maria Prinz even named them "phenomenal talents that are born only once in a century". 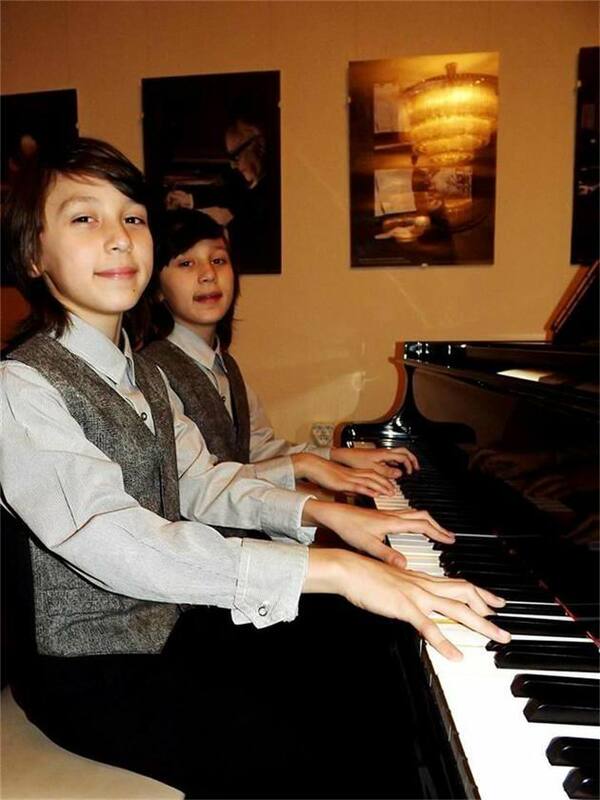 They are both interested in classical music, and the works of famous European and international composers, and dream of becoming world renowned pianists and conductors - and to bring their home town to the attention of Bulgarian and international music lovers. Their favourite composers are: Franz Liszt, Beethoven, Mozart and Pancho Vladigerov. They find modern music somewhat meaningless, reasoning that often in such music there is just one harmony and the music does not evolve. The complexity and beauty of classical music has won them over and they hope to do their part in bestowing its magic to their audiences. In the autumn of 2014, they had a concert together in Vienna, with the support of the Bulgarian Cultural Institute “Haus Wittgenstein”- and also participated in Concert of the Laureates. Whilst in Austria, Hassan and Ibrahim completed the master piano class of Prof. Maria Prince. Next plan for the duet is to apply for participation in the international competition "Franz Liszt" which will take place from October 26 to November 6 in Weimar, Germany. - Hello, Krisia, Hassan and Ibrahim, and first of all our congratulations for being chosen Bulgarian representatives at Junior Eurovision. Krisia, what are your feelings about taking part in this contest? Krisia: I feel happy that I have this opportunity to be a part of this wonderful event where I can perform and present our country. I am grateful to everyone who believed in me. - Guys, and for you as pianists, how would you rate Junior Eurovision among the dozens of professional contests you have already been in? Hassan and Ibrahim: If we have to compare the level of difficulty of the performances in order to win a competition we need to perform a piece which is a lot more difficult compared to other contestants in our age group. - Can you tell us more about your song “Planet of the Children”, how was it created, how you were involved in the process yourself? Krisia: After I heard the music for the first time written by Evgueny Dimitrov I imagined a fairytale world in which only good things happen. Ivaylo Valchev had to write the lyrics of the song. I also participated in the writing of the lyrics. I talked about my dreams and my wish all people in the world to be together, be good, love each other just like children, be happy and free, live in eternal peace and freedom. Hassan and Ibrahim: The song was created with a lot of love and good spirit. Without doubt it is one of the best well-made songs of Bulgaria. Each of us received the musical score of the song. My twin brother and I were ready with the score after about 6 hours of rehearsals. - Is this your first cooperation together, have you been acquainted before this project? Krisia: We met for the first time when we made the recording of the song. We did not know each other before that. Hassan and Ibrahim: This is the first time we have worked together. We met Krisia at the audio recording at Bulgarian National Radio in Sofia. - You have also filmed the music video for your song, what was the most memorable moment for you from this process? Krisia: We had a lot of fun during the shooting of the music video. We became a great team very quickly and each moment was unforgettable, I would be happy filming a music video everyday. Hassan and Ibrahim: The most exciting moment for us was when they were making artificial clouds around us. They had even put of the same material inside the grand piano.. there was smoke everywhere. - Will the stage presentation be similar to what we have seen in the music video for your entry, two grand pianos on the stage? Any backing vocalists, extra dancers? Krisia: Only the three of us will be on stage. There won't be any ballet or vocals. There will be two grand pianos as in the music video. The scenography will contain additional effects which we don't know yet. Hassan and Ibrahim: We expect that there will be two grand pianos, which need to be black and white, so that there is harmony between our outfits. - And who will take care of your image and outfits? Have you chosen them already? What would you like them to be - casual or something gorgeous? Krisia: Our outfits are ready. We will be dressed in formal clothes which are a match for the song, I will have a long to the ground and very beautiful dress. Hassan and Ibrahim: The world-renowned designer Sofia Borisova is taking care of our outfits and image. We already had the pleasure to try them on and we've liked them a lot. - Do you usually feel nervous before getting on stage, and how do you calm yourself down? Krisia: I always feel a little anxious before going on stage but when the music starts everything changes. Hassan and Ibrahim: We may be children but we have performed complex musical works many times in front of audiences in Bulgaria and abroad. Krisia as well. It has been a long time since we have overcome our stage fright. On the contrary, we are happy when we appear in front of a wide audience. - What are your plans of preparations for the contest? You live in different cities, do you meet often for the rehearsals? 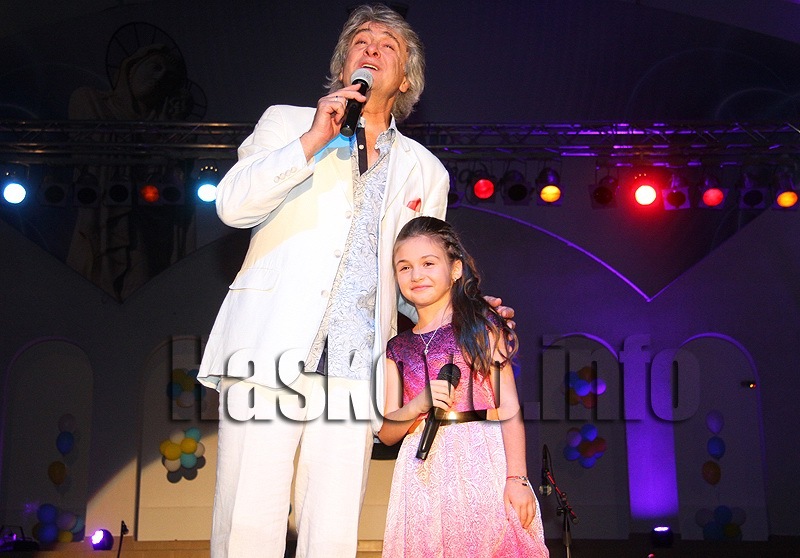 Krisia: I rehearse every day with my vocal teacher Svilena Decheva in "Center for work with Children" in Razgrad. We work around 2-3 hours every day. Hassan and Ibrahim: We are from neighbouring cities. She is from Razgrad and we are from Shumen. The distance is about 40 km. It is not a problem to meet and to rehearse. - For a while Bulgaria has been absent from the competition, have you seen any previous Junior Eurovision contests, any personal highlights there? Krisia: I have seen Bulgaria's past participation in Junior Eurovision on the internet. I think their performance was very good. Hassan and Ibrahim: We haven't seen the previous contestants live. We have only heard recordings of their performances. Krisia: I already became familiar with the songs of the other participants, I really liked most of them. Hassan and Ibrahim: Of course we are interested. In any case they are our competitors and we respect their art. - Guys, there is a significant lack of boys in Junior Eurovision this year, with just 1 boy (besides you) for 22 girls, what are your feelings over it? Hassan and Ibrahim: Most probably we will feel great among female company. Krisia: I want us to do well, to succeed in touching the audience with our performance and to reach everyone with our message. Hassan and Ibrahim: Our aim is to win. - What would you call your biggest achievement so far, besides Eurovision? Krisia: My biggest achievement so far is winning the competition on "Slavi's Show". 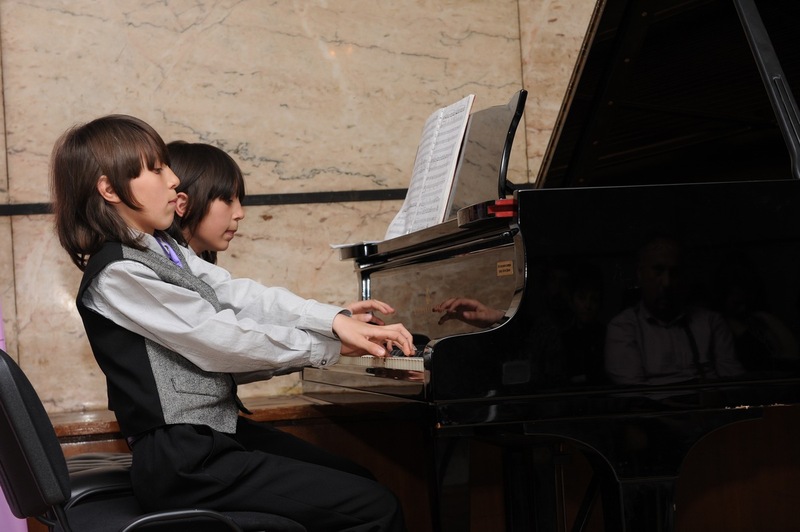 Hassan and Ibrahim: As pianists, every victory in a competition is a great achievement for us. - Krisia, you've become known mostly for singing covers, do you have any other original songs in your repertoire, or may be there are plans to record something soon? Krisia: For the moment I don't have other original songs. I hope to have other songs in the future. Krisia: I enjoy singing different songs because this is a greater challenge and I always learn something new. I definitely like to sing songs with more jazz and rock sound. Krisia: For sure I don't have a lot of time for relaxing since I started preparing for the competition. My schedule is quite busy and sometimes I need to study late because singing takes most of my time during the day. I love to go to school, I feel great there among my friends. Hassan and Ibrahim: It is difficult because when we go to a competition we miss school and then we have to catch up. Of course, we love to study. - It seems you're great in all types of art, do you consider any other future career besides singing? Krisia: I love to dance. I take modern dance. I also dream to become an actress. I wish I could combine together everything which I love to do. Krisia: I wish everyone to be happy and to do what they love. To believe in their dreams and to follow them. Hassan and Ibrahim: Our message to all the readers and to the whole world is first to listen to the song when we perform it, after that to listen to the voice of their heart and soul and then to vote. - Thanks a lot for your answers, good luck with your preparations, and see you soon in Malta! On 7th of November Krisia, Hassan and Ibrahim will be making guest appearance in the concert devoted to the 55th anniversary of BNT broadcaster, where they will give live performance of their contest entry "Planet of the children". The show airs from 22:00 to 23:00 local time and is repeated on BNT World on November 8th at 16:00, online. Watch the performance here. Check, how Ibrahim and Hassan are preparing for the show here. Transcript (in Bulgarian) can be read here. "One day our father called us and asked whether we want to participate in Eurovision", says Ibrahim. This is was childhood dream of both kids - to go on the big stage and play the piano. 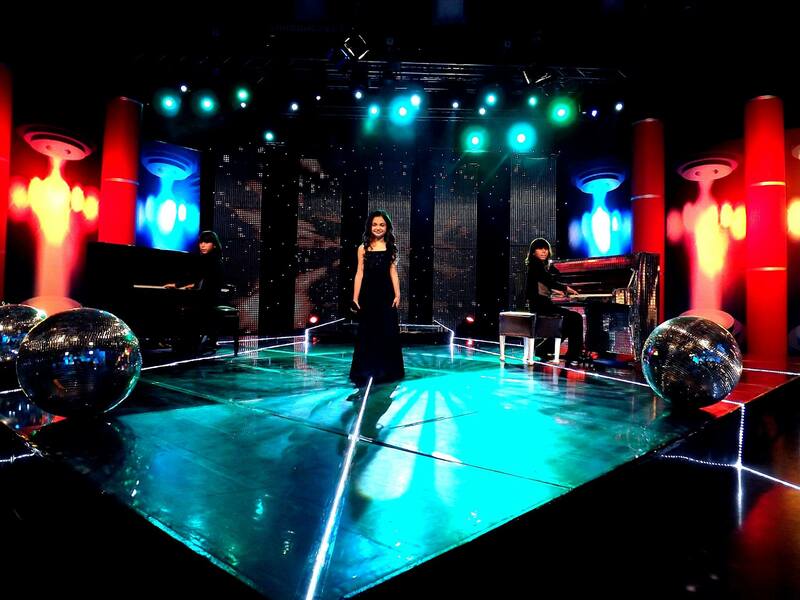 In the song "Planet of the children" they accompany Krisia on white and black grand piano. "Ibrahim wanted to play a white grand piano. I wanted also a white grand piano and then it became a dispute and we solved it with the game rock, paper, scissors ... Ibrahim beat the game and he will play the white grand piano, I - black", tells Hassan. They are rehearsing their performance every day. Bulgarian Junior Eurovision hopeful Krisia Todorova has met BNT hostess Mira Dobreva in her home town of Razgrad. In the show "Otblizo s Mira" this Saturday talented little singer will reveal that she is a big fan of football and one of her favorite weekend activities is to play a match with the boys of the town. "But only if they are good," she says. In the show, which begins at 11:00 on BNT 1, it will became clear that Krisia and football team "Ludogorets" are the great pride of Razgrad. Promo-video to the program can be seen here. Krisia will tell that every day she can not wait to get home to share with her favorite teddy dog ​​the most interesting stories of the day. Viewers will also learn what is Krisia's favorite book and she will tell about her excitement of participation in Eurovision. Viewers will also see how Mira Dobreva was greeted at the school by Krisia's classmates and teachers. "Throughout the day, despite her busy schedule, Krisia acts like a real pro, and her smile is always on her face. Even when she was asked to perform only one verse of "Planet of the children", she sang the complete song - as if she is on the stage in Malta", say Mira Dobreva. Krisia's teacher Svilena Decheva says there are a lot of good songs at the contest this year, so it will not be easy to determine the best. She adds that she is trying to keep Krisia very much down to the ground. "Neither I nor her parents say that she is the best, star and all that stuff. She is first of all a child - very talented, but still a child. We want to prevent her from the unnecessary flying up because then she might experience very bad fall to the ground". Watch the complete episode with Krisia here. Starting 21:40 Krisia sings her song "Planet of the Children" live. Read the transcript of the program in English here. Krisia will travel to Valletta on November 9, with a team of 10 people, in which, besides reporters of BNT and bTV will be also her mother Angelina and her musical mentor Evgeni Dimitrov Maestro. Head of "Ku-Ku Band" will play the role of a buffer between the girl and passionate journalists and will accompany her to meetings with the media on the island. 10-year-old sensation from Bulgaria is among the smallest participants who will compete with kids from other 15 countries. She will be accompanied on the grand pianos brothers Hassan and Ibrahim Ignatovi, and behind them on stage will be whirling tornado of dry ice, writes "Monitor". Group of Krisia Todorova on VK social network has published short video with her vocal rehearsals prior to the Junior Eurovision Song Contest. Krisia Todorova became today special guest of "Oshche ot denya" program on BNT 1. You can watch interview with young singer here (in Bulgarian language). She has also appeared again in Slavi's show, this time performing song of Julia Nachalova "Ya by hotela narisovat mechtu" (I'd like to paint a dream) in Russian. Watch here brothers Hassan and Ibrahim Ignatovi getting prepared for their Junior Eurovision performance, playing live their contest entry "Planet of the Children". At the contest itself, though, there will be no microphone connected to their pianos, so televiewers will only be able to hear phonogram version of their play. You can check their biography, as well as the bio of singer Krisia Todorova on Bulgaria page. As of Monday, October 27, Bulgarian National Television will start broadcasting previews of the songs competing in this year's Junior Eurovision. This will happen every day at 19:50 in the traditional children's section "Leka noshch, detsa" (Good night, children) which is broadcast just before the main news program "Po sveta i u nas". The international final of the Junior Eurovision 2014 will be broadcasted on 15 November at 20:00 on BNT 1 and BNT HD and here you can watch BNT promo for the event. During the week in Malta, Krisia, Hassan and Ibrahim will be followed by BTV host Petya Dikova, who will prepare some video specials for BTV. 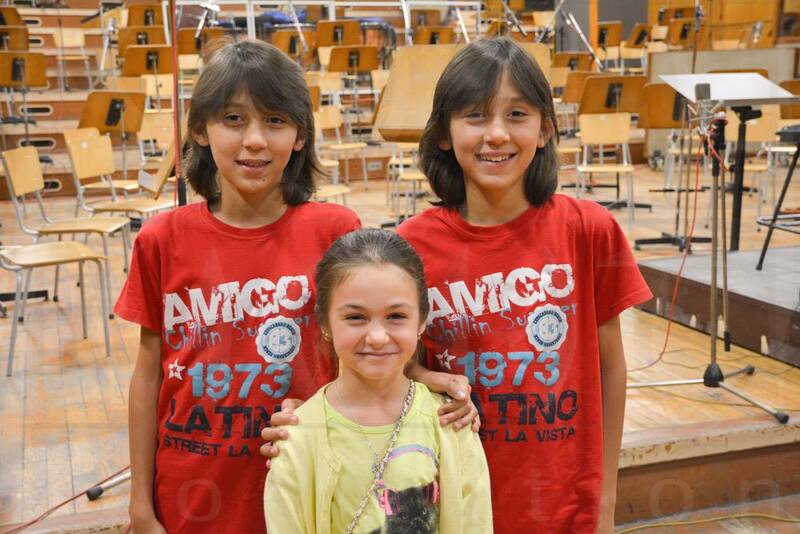 Krisia, Hassan and Ibrahim have recorded video message for all Junior Eurovision fans. Post by Krisia, Hasan & Ibrahim. On Sunday Krisia, Hassan and Ibrahim were guests of "120 minuti" show on BTV, you can watch the interview with Bulgarian representatives here. On Friday, Krisia as usual was guest of Slavi's Show and this week she has performed "You Gotta Be" of Des'ree. Listen also Krisia's interview to BNR radio here. 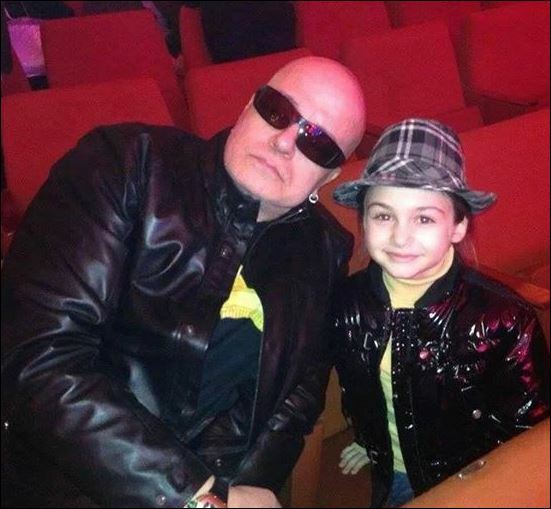 To keep herself in the excellent form for Eurovision, little Krisia is rehearsing every day for 2 hours in the Center for Children in Razgrad with her music teacher Svilena Decheva. She is focusing primarily on the song "Planet of the Children", however alongside that every two weeks she is preparing for the new song for "Slavi's Show". Teacher tries not to put extra pressure on the voice of the little singer, and besides vocal and some ballet lessons, Krisia still has time for studies and playing with friends. Post by Krisia at Junior Eurovision 2014. BTV has officially presented the entry in "Slavi's Show", that included interview with little performers and composer Evgeni Dimitrov. Watch it here. Watch also BTV news report here. BNT has presented the entry in "Po sveta i u nas" news broadcast, which can be seen here (scroll to 39:00). "If we look back through the history of Eurovision, this is not the first time when public and private broadcasters are working together to represent their country in the best possible way. We were highly motivated by the enormous talent which Krisia, Hassan and Ibrahim have. They are already well-known in Bulgaria and they deserve to represent our country at so prestigious contest. When I heard the song for first time, I tought that it is performed by very experienced singer. On the other hand the song has very universal message, because not only the children are dreaming for a better world – this is something which belongs to everyone", Ms. Vyara Ankova, Director General of BNT said. "Krisia is undoubtedly a very talented child and that's why we were very happy to receive that call from our collegues from BNT, which have noticed her capabilities. The song which were produced by them in cooperation with the composer Evgeni Dimitrov and the whole team of "Sedem Osmi" production company is exceptional. We hope that this song will touch the same way not only us, but all Bulgarians abroad as well", Mr. Pavel Stantchev, CEO of BTV added. "The planet of the children is one of the most complicated projects, we have ever been involved into. It combines the vocal capabilities of Krisia, outstanding Hassan and Ibrahim playing on piano, and the sound of Pleven Philharmonic. It think that the final product is really promising", said one of the composers and key members of the team behind the song – Evgeni Dimitrov. 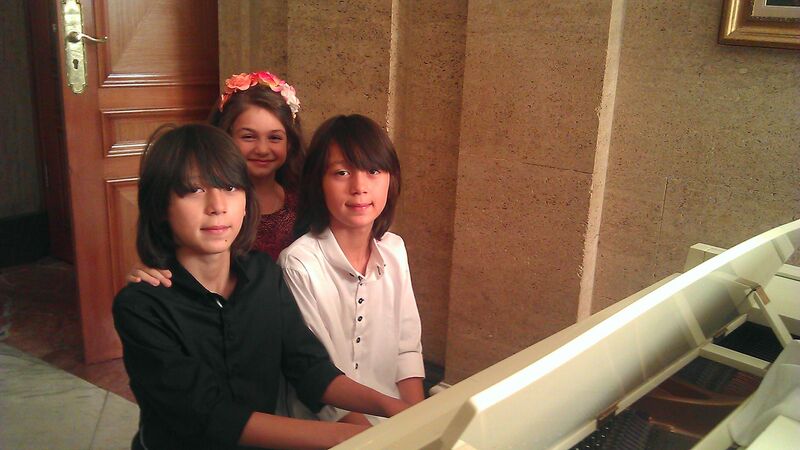 One of Ignatovi brothers who will be backing on pianos Krisia Todorova at Junior Eurovision Song Contest 2014, Hassan Ignatov, is taking part these days in the 12th International Russian Rotary Children Music Competition taking place in Moscow, Russia. Talented kid has travelled to Russia at the suggestion of "Dimitar Berbatov" foundation and supported by Rotary Club "Sofia - Balkan". Semifinal performances included: Skrjabin - Prelude op. 16 No 1; Skrjabin - Prelude op. 39 No 1; Beethoven - Sonata op.10 No 2 (Allegro) and "Dilmano Dilbero" from Alexander Vladigerov. In final Hassan has performed Shostakovich - Concerto №2 (Part 2,3). Watch his performances here: 1st round, 2nd round, Rehearsal 1, Rehearsal 2, Final. Hassan has ended 4th in the competition, despite he had no professional preparation and his only music teacher was his twin brother Ibrahim. 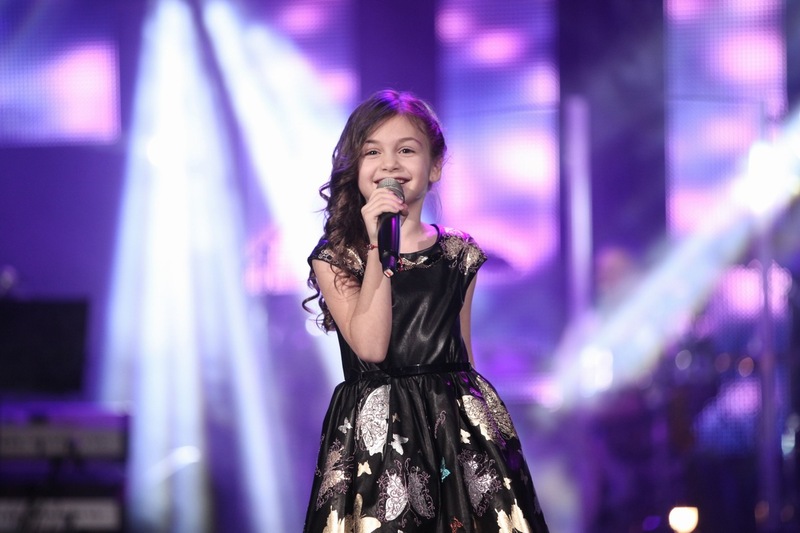 Krisia Todorova will sing at Junior Eurovision only in Bulgarian, without English parts as do most of the other competitors. This decision has been taken by the team behind the entry. "Ultimately, the audience doesn't always understands the text, but when an artist is charismatic, it always reacts. We hope to reach such an effect", says leader of Ku-Ku Band Evgeni Dimitrov. This is the second song that he and his team made ​​especially for Eurovision. The first attempt was in 2005, when Slavi Trifonov and Sofi Marinova attempted to represent Bulgaria at adult contest. 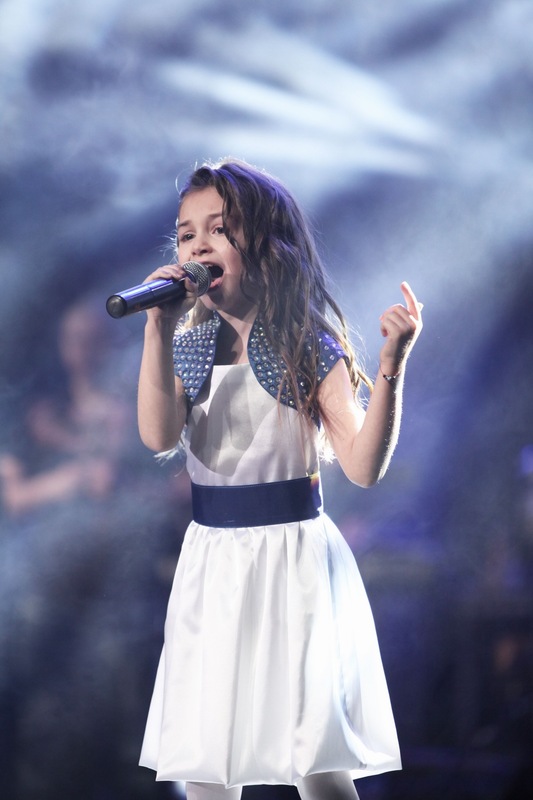 It is expected that Bulgarian JESC entry will be presented next week. This week viewers of Slavi's Show got another opportunity to enjoy wonderful performance of the little Krisia. This time she delivered song of Mariana Popova "Vrvya". "This project involved three extremely talented children of 10 years - Krisia, that is known to viewers of "Slavi's Show" and the twins Hassan and Ibrahim Ihnatovi - pianists from Shumen. With the twins I met along the awards of "Dimitar Berbatov" foundation. When I was doing the audition for who should take part in the project, I heard them playing for the first time. They turned out to be fantastic kids - incredibly talented, touring constantly, winning awards in competitions. Hassan and Ibrahim are extremely charismatic, long-haired, just as I imagine should look the real artist". "It all started with the invitation we received from the Bulgarian National Television, for Krisia to represent Bulgaria at Junior Eurovision. Thanks to this invitation we have started working together. With my colleagues we originally did a song for a solo singer. Then we decided to involve also pianists and I think we got a very nice and interesting trio. Hassan and Ibrahim will perform on two pianos, and their part will probably be recorded next week in the Bulgarian National Radio studio in Sofia. In general, the project will be recorded at 7-8 different studios and eventually mixed together. I can only reveal that the song sounds very romantic, as the soundtrack of the animated film"
"The song is called "Planetata na detsata" (Planet of the children), but it is still a working title. Krisia was actively involved in working on the lyrics, which speak about how she is a fairy or a super hero and how she wants to transform everyone in the world into children. Because it is the children's world there is no war or famine, but only good things. This is a kind of appeal of children to the world to be better and to keep the child in you. The song should be ready by the end of the month, so hopefully we will be able to present it in the early October. There is still enough time for the song to gather popularity"
On 8th of September Krisia Todorova has performed on the Haskovo City day celebrations in "Spartak" venue, performing songs "Edna Bulgarska Roza" "Oh! Darling", "Simply The Best", "Svetat e za dvama" with Orlin Goranov and others. Bulgarian representative Krisia Todorova is back in the weekly Friday segment "Meet the little" in one of the most popular local Bulgarian TV shows "Slavi's Show". Charming little girl has performed "You Are The Voice" of John Farnham during the latest edition of the show and demonstrated that she has certainly worked hard in Summer to polish her singing tallents even further. 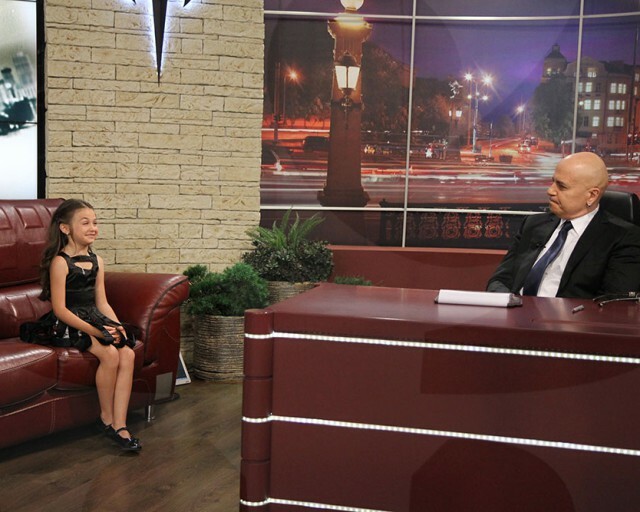 On air, she has also expressed gratitude to the everyone who has trusted her participation in Junior Eurovision 2014. Watch the video from Krisia's latest performance here. It may sound surprising, but so far in the season, Junior Eurovision has got more mentions in the press of Bulgaria, due to the choice of currently extremely popular local singer, than probably in all other participating countries combined. 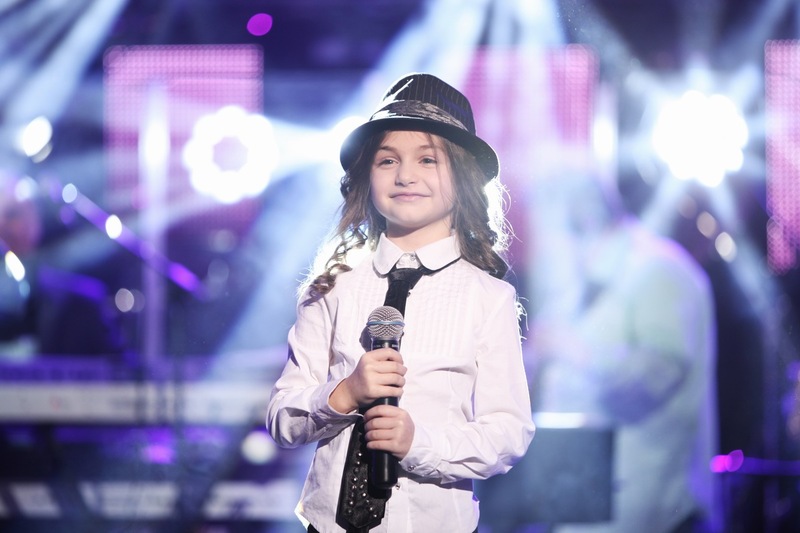 The initial announcement of Bulgarian participation in Junior Eurovision 2014 was made during "Slavi's Show" on July 25 on Bulgarian commercial channel BTV where special guest was child prodigy Krisia Todorova. At that time producer and host of the show Slavi Trifonov stated that he has proposed the project to the national broadcaster BNT and is avaiting for their formal response. BTV itself is not European Broadcasting Union member, and thus is not eligible for own participation in the Eurovision. Trifonov commented that when it comes to Bulgaria there is no competition and that's why BNT and BTV plan to combine forces for the project. Slavi also said that Krisia's participation at Junior Eurovision 2014 will be her new challenge and his team has already produced the song. The composition will not sound childish and he personally expects that millions of Europeans will fall in love with the Bulgarian entry. The project, which aims to conquer Europe, also involves little twin piano virtuosos from Shumen - Ibrahim and Hassan Ignatovi. They will play piano, and the little beauty Krisia will sing. Krisia, Ibrahim and Hassan have just reached the lower limit for the competition - 10 years of age. 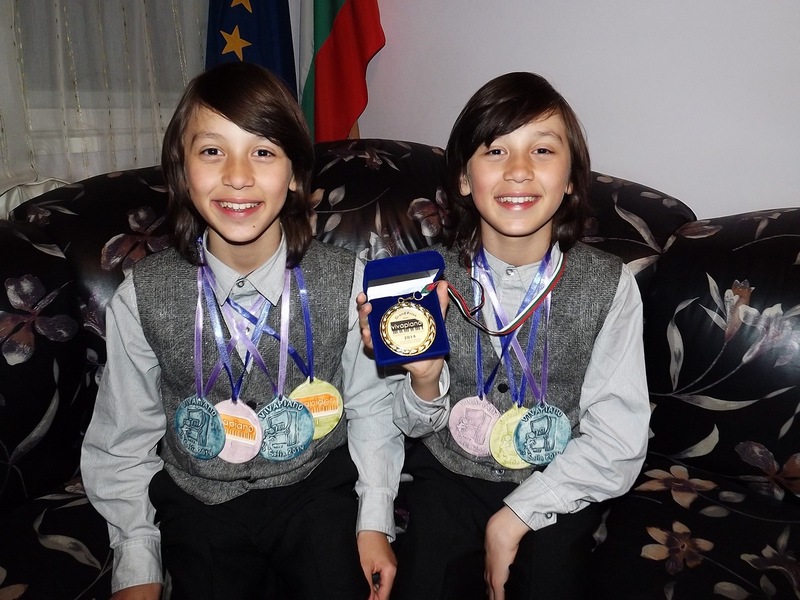 According to Slavi, three kids will enchant audiences worldwide and will glorify Bulgaria in Europe. "I will make Krisia the global star, she has all the qualities, the song is already made and it is the best that Bulgaria can present. The next winner of the Junior Eurovision will no doubts be Bulgaria, be sure of that", passionately explained Trifonov to his colleagues during the show. He said that the song is created by leading figures from accompanying band of the show "Ku Ku Band" (including Evgeni Dimitrov-Maestro) on the lyrics of Ivailo Valtchev from Burgas. Krisia says she is very excited by the opportunity to sing in front of such a large audience, but her parents and teachers were slightly worried about her school, she just moved to fourth grade. EBU has confirmed participation of Bulgarian broadcaster BNT on July 31. Bulgarian return to the contest was made possible thanks to the combined efforts by BNT and Bulgarian most-watched private broadcaster - BTV. In the "Slavi Show" from September 1 Slavi has announced the news that the Governing Council of the BNT has unanimously agreed that Krisia Todorova will represent Bulgaria at Eurovision child on 15 November this year in Malta. Slavi Trifonov also stated that he will personally take care of the outfit in which Krisia will be conquering the stage of the competition. Moreover, he will take over all costs for the travel and accomodation of Krisia and the team to Malta. Krisia has recorded her song for Junior Eurovision with the Pleven Philharmonic, filming of the music video is also taking place in Pleven. The idea to involve Philharmonic orchestra has appeared after talks of director of Philarmonic Lubomir Dyakovski with composer Evgeni Dimitrov-Maestro and Slavi Trifonov, who liked the idea and proposed the video to also be recorded in Pleven, in the hall of Drama theater "Ivan Radoev". The recording will take place in the Philharmonic Hall "Emil Dimitrov" of community center "Soglasie" by Maxim Goranov and his studio. Pianists Ibrahim and Hassan Ignatovi will be recorded separately in Sofia, but they will be featured in video playing on two grand pianos on the stage of the theater, said the director of the Pleven Philharmonic. Крисия Тодорова родилась 1 июня 2004 года в Варне в семье Ангелины и Марина Тодоровых, которая сейчас живет в городе Разград. У нее две сестры - 5-летняя Марина и 13-летняя Тиффани. Еще когда Крисия была младенцем, ясновидящий предсказал ее матери, что ее дочь станет великой звездой, известной не только в Болгарии, но и за рубежом. На сцене она выступает с трех лет, когда она начала принимать участие в ряде мероприятий в в своем городе Разграде. С 4х лет она занимается танцами в школе "Emi Dance", практикуя народный танец и балет. Мама Крисии привела ее на прослушивания в школу им. Ильи Бурнева в Разграде. Там она начала развивать свой вокал, а затем приступила к урокам со специализированным педагогом в Тарговиште. Однако, поскольку ее маме было сложно уследить за тремя маленькими детьми, Крисии пришлось прервать уроки в соседнем городе и продолжить обучении у себя в Разграде с педагогом Свиленой Дечевой в Детском Центре. С тех пор она завоевала свыше 10 премий музыкальных конкурсов, половину из них - Гран-при, включая фестиваль "Медени звенчета" в Кубрате. Отец маленькой звездочки - владелец отеля, и потому зарабатывает достаточно денег, чтобы оплачивать уроки и поездки на фестивали своей дочери, а также позволить ее маме не работать, а сопровождать их дочь в этих поездках. К счастью своих родителей, у Крисии очень разносторонний талант. Помимо пения, игры на фортепиано, она также танцует и искусно рисует. "Я могу объяснить ее успехи в танцах и фортепиано, я сама закончила балетную школу и была балериной в Оперном театре. В нашей семье множество музыкантов. Но когда речь заходит о пении, я даже не могу предположить, откуда у нее такой талант, в нашей семье других людей, обладающих этим качеством нет", рассказывает мама Крисии. "Она знает множество песен на английском, несмотря на то, что еще не начинала изучать иностранные языки. Когда она слышит что-то, она сразу же запоминает, и может повторить. Это - редкий божий дар. Сестры Крисии тоже очень талантливы - Тиффани прекрасно танцует, а маленькая Марина хорошо рисует. Сама Крисия учится в школе на отлично, несмотря на то, что 6 раз в неделю ей приходится брать уроки пения, танца и фортепиано. Неожиданно для всех ее любимый предмет в школе - математика. Она также прекрасно считает в уме, и иногда задаешься вопросом, где в ее маленькой голове спрятан калькулятор. Правда из-за подготовки к Евровидению, Крисии пришлось отказаться от посещений школы до конца ноября, ведь ей приходится в основном находиться в Софии. В будущем Крисия мечтает стать актрисой или певицей. Ее любимые исполнители - Кристина Агилера, Бейонсе, Селин Дион и Уитни Хьюстон. Девочка с Разграда мечтает однажды стать такой же популярной, как они, но хорошо понимает, что для этого придется очень много работать. Из местных эстрадных исполнителей она предпочитает Лили Иванову, Мариану Попову, Марию Илиеву и Миро. У Крисии множество любимых певцов, но нет любимой еды. "Я не ем так много, как я слушаю музыку," смеется она. Крисия любит кататься на велосипеде и роликовых коньках, и, поскольку рядом с ее школой есть большой холм, Крисии очень нравится кататься с него на лыжах в зимнее время - так, что она даже получила диплом лучшей лыжнице среди своих одноклассников. Ее недавним хобби стала... рыбалка, и недавно в озере рядом с Разградом она смогла выловить 5-килограммового сома и карпа. Настоящий прорыв пришел к Крисии с участием в кастингах на позицию сценического партнера для победителя "Рассмеши Слави" Димитара Андреева, для участия в "Шоу Слави" (болгарский аналог "Вечернего Урганта"). Слави Трифонов планировал, что они вместе будут выступать в пятничной рубрике "Встречай маленьких". Крисия впервые выступила в "Шоу" 30го декабря с песней Бейонс, и всего за несколько дней видео этого выступления собрало свыше 100 тысяч просмотров. Благодаря уникальному голосу и сценической харизме, Крисия смогла завоевать симпатии миллионов болгар и занять первое место на отборе. Этот успех дал ей шанс регулярно выступать перед зрителями "Шоу Слави". Выступления Крисии в этой программе (включая такую классику, как "Lane moje" Желько Йоксимовича, "Mamma Mia" ABBA, "My Heart Will Go On" и др. хиты) можно посмотреть здесь. Спустя несколько недель после появления в телешоу, Крисия исполнила гимн Болгарии на стадионе им. Василия Левски на матче Лиги Европы между Лудогорцем (Разград) и Валенсией, за чем могли наблюдать свыше 43 тысяч зрителей, присутствовавших на национальном стадионе в Софии. Другие видео выступлений Крисии можно увидеть здесь и здесь. Учитывая важность нового вызова, на сцене Детского Евровидения Крисия будет не одна - вместе с ней там выступят два юных талантливых пианиста Ибрахим и Хассан Игнатовы из города Шумен. Близнецы также стали открытием Слави Трифонова через его программу "Поющие семейства". Различные выступления братьев Игнатовых в шоу Слави можно увидеть здесь. Хассан и Ибрахим Игнатовы (родились 10 декабря 2003 года) являются победителями около 20 болгарских и международных конкурсов пианистов. Музыкальные институты из России, Швейцарии и Дании уже предложили им продолжить образование за рубежом. Дети и их родители сейчас рассматривают эти предложения и их условия. Также Хассан и Ибрахим Игнатовы являются обладателями премии фонда им. Димитра Бербатова, полученной на шестой ежегодной премии "Успешные дети Болгарии". Их старшие сестры, 17-летние Нермин и Мерлин двойняшки и являются фольклорными певицами. В 5 лет они получили первые уроки музыки у их отца Дениса Игнатова (который сам играет на традиционном болгарском струнном инструменте гадулке в фольклорном ансамбле), а с 8 лет начав заниматься игрой на фортепиано, они достигли замечательных успехов всего за 2 года тренировок. Впервые они прикоснулись к клавишам фортепиано в музыкальной школе в Шумене с педагогом Маринелой Мариновой. Близнецы переехали в Шумен, закончив 1й класс школы в городе Каолиново, поскольку их отец верил в их музыкальный талант и считал, что им нужно начать заниматься в музыкальной школе. Летом 2011 года он взял свою семью и перевез в другой город. До этого, братья лишь тренировались играть на старом домашнем аккордеоне. 17 ноября 2012 года Ибрахим и Хассан приняли участие в своем первом международном конкурсе, им. Андрея Стоянова, для участия в котором их пригласил профессор Александр Текелиев. В своей возрастной группе Хассан завоеал первую премию, а Ибрахим занял 4е место. На сегодняшний день они по отдельности приняли участие в около 20 конкурсах, из них 3/4 международного уровня. В качестве фортепианного дуэта братья выступили на 7 конкурсах и фестивалях. В большинстве случаев они становились обладателями первой или второй премии в своих возрастных категориях. На сегодня на счету Хассана 20 премий на различных конкурсах в Болгарии, Турции и Македонии, а на счету Ибрагима - 19. Полный список их наград вы можете найти здесь. Каждый день они уделяют игре на фортепиано 4-5 часов, а перед концертами занимаются по 10 часов. На тех конкурсах, где они выступают индивидуально, братья также любят соревноваться между собой. Среди наиболее выдающихся выступлений братьев Игнатовых: Международный конкурс "VIVAPIANO" 2014 - Хассан Игнатов; Международный конкурс им. Франца Шуберта 2014 - Ибрахим Игнатов; Национальный конкурс им Светослава Обретенова - Хассан, Ибрахим; Международный конкурс "Liszt-Bartok-Ligetti" 2013 - Ибрахим, Хассан; Концерт с Шуменским симфоническим оркестром 2014 - Хассан и Ибрахим; Международный конкурс "Pera Piyano" 2014, Стамбул, Турция - Хассан и Ибрахим. Другие видео выступлений братьев Игнатовых вы можете увидеть здесь и здесь. Видео выступлений дуэта можно увидеть здесь и здесь. Всего за три года братья Игнатовы стали настоящими профессионалами. Музыкант Мария Принц даже назвала их "феноменальными талантами, которые рождаются только раз в столетие". Оба брата интересуются классической музыкой, работами знаменитых европейских и международных композиторов, и мечтают в будущем сами стать известными пианистами и дирижерами, и вывести привлечь внимание болгарских и зарубежных поклонников музыки к своему городу. Их любимые композиторы: Франц Лист, Бетховен, Моцарт и Панчо Влагигеров. Современную музыку они считают зачастую бесмысленной, объясняя это тем, что часто в ней всего одна гармония и нет никакого развития. Сложность и красота классической музыки завоевала их, и они надеются внести свой вклад в донесении ее волшебства своим слушателям. Осенью 2014 года они дали совместный концерт в Вене, при поддержке болгарского культурного института "Haus Wittgenstein. В Австрии Хассан и Ибрахим также взяли уроки игры у профессора Марии Принс. В дальнейших планах дуэта подать заявку на участие в международном конкурсе им. Франца Листа, который пройдет с 26 октября по 6 ноября в Веймаре, Германия. - Привет, Крисия, Хасан и Ибрахим, прежде всего наши поздравления, что вы стали представителями Болгарии на Детском Евровидении. Крисия, что ты чувствуешь сейчас, принимая участие в этом конкурсе? Крисия: Я счастлива получить возможность выступить на этом прекрасном шоу и представить на нем свою страну. Спасибо всем тем, кто поверил в меня! - Ребята, а вы как пианисты, как бы вы оценили Детское Евровидение по сравнению с десятками профессиональных конкурсов, в которых вы уже принимали участие? Хасан и Ибрахим: Если сравнивать уровень сложности выступлений, то для того, чтобы одержать победу на конкурсе, нам придется исполнить композицию, намного более сложную, по сравнению с другими участниками нашей возрастной группы. - Расскажите нам о вашей песне "Planet of the Children", как она была создана, как вы сами принимали участие в процессе ее написания? Крисия: После того, как я впервые услышала музыку, которую написал Евгений Димитров, я представила себе волшебный мир, в котором происходят только хорошие вещи. Ивайло Валчев писал текст песни, а я помогала ему. Я рассказала ему о своих мечтах и своем желании, чтобы все люди всего мира были вместе, были хорошими, любили друг друга, и, как дети, были беспечными и счастливыми, живя в вечном мире и свободе. Хасан и Ибрахим: Песня создавалась с большой любовью и в хорошем настроении. Безо всякого сомнения, это одна из лучших песен, когда-либо сделанных в Болгарии. Каждый из нас получил ноты песни, чтобы разучить ее. Мы с моим братом-близнецом были готовы приступить к записи композиции спустя примерно 6 часов после начала репетиций. - Это ваше первое совместное сотрудничество, вы уже были знакомы перед этим проектом? Крисия: Мы впервые встретились на записи песни. До этого мы знакомы не были. Хасан и Ибрахим: Это первая наша совместная работа. Мы познакомились с Крисией на записи аудиоверсии трека в студии Болгарского радио в Софии. - Вы также уже сняли видеоклип на вашу песню, что вам больше всего запомнилось из этого процесса? Крисия: Мы очень хорошо провели время на съемках. Мы быстро стали одной командой, и каждый момент съемок был для нас незабываемым, я была бы рада снимать видеоклипы даже каждый день. Хасан и Ибрахим: Больше всего нам понравилось, когда взрослые делали вокруг нас искусственные облака. Им пришлось положить этот материал даже во внутрь фортепиано... этот дым был повсюду. - Будет сценическое выступление похожим на то, что мы видели в видеоклип, два фортепиано на сцене? Будут ли у вас какие-то бэк-вокалисты, танцоры? Крисия: Мы будем только втроем, танцоров или бэк-вокалистов у нас не будет. Да, будут также два фортепиано, как в клипе. Нам говорят, что в номере будут какие-то спецэффекты, но мы пока даже сами их не видели. Хасан и Ибрахим: Мы ждем, что на сцене нам поставят два фортепиано, и они должны быть белым и черным, чтобы соответствовать нашим сценическим костюмам. - А кто позаботится о вашем имидже и костюмах? Выбрали ли вы их уже? Какими бы вы хотели, чтобы они были - повседневными, или роскошными? Крисия: Наши костюмы уже готовы. Мы будем одеты в торжественные костюмы, которые будут хорошо подходить нашей песне. У меня будет длинное до пола и очень красивое платье. Хасан и Ибрахим: Костюмы нам создает всемирно известный модельер София Борисова. Мы уже даже смогли их померить, и нам они очень нравятся. - Вы обычно нервничаете перед выходом на сцену, и если да, то как вы себя успокаиваете? Крисия: Я всегда немного нервничаю перед выступление, но волнение проходит с первыми же звуками музыки. Хасан и Ибрахим: Пусть мы еще и дети, мы уже много раз выступали перед аудиториями в Болгарии и зарубежом, исполняя очень сложные музыкальные работы. Как и Крисия. Поэтому, боязнь сцены мы уже очень давно побороли. Наоборот, мы очень рады выступить перед широкой зрительской аудиторией. - Какие ваши планы подготовки к конкурсу? Вы же живете в разных городах, как часто вы встречаетесь на репетициях? Крисия: Я занимаюсь каждый день со своим педагогом по вокалу Свиленой Дечевой в Разграде. Мы работаем по 2-3 часа каждый день. Хасан и Ибрахим: Мы живем в Шумене, а Крисия - в Разграде. Наши города находятся не так далеко друг от друга. Расстояние между ними всего 40 км. Поэтому, нам не так сложно съезжаться вместе на репетиции. - Болгария несколько лет отсутствовала на конкурсе, удалось ли вам посмотреть какие-то прошлые выпуски шоу, были ли у вас личные фавориты? Крисия: Я смотрела прошлых конкурсантов Болгарии на Детском Евровидении по интернету. Я считаю, что все они выступили неплохо. Хасан и Ибрахим: Мы не смотрели видеозаписи конкурса, только слушали аудиоверсии участвовавших песен. - Вас интересует узнать, кто представит на конкурсе другие страны? Будете ли вы слушать другие участвующие композиции? Крисия: Я уже познакомилась с песнями других конкурсантов по интернету, мне понравилась большая часть из них. Хасан и Ибрахим: Конечно, нам очень интересно. Мы очень уважаем творчество своих соперников. - Ребята, в этом году на конкурсе очень мало мальчиков. Кроме вас на сцене будет всего 1 солист-мальчик, и 22 девочки, что вы об этом думаете? Хасан и Ибрахим: Мы будем очень хорошо чувствовать себя в женской компании! Крисия: Я бы хотела, чтобы мы хорошо выступили, смогли затронуть зрителей нашим исполнением, и достичь каждого месседжом нашей песни. Хасан и Ибрахим: Наша цель - победа. - Что вы считаете вашим самым большим достижением на сегодняшний день, помимо Евровидения? Крисия: Это, конечно же, победа на отборочном конкурсе для участия в "Шоу Слави". Хасан и Ибрахим: Для нас, как пианистов, победа на каждом конкурсе является хорошим достижением. - Крисия, ты стала известной прежде всего, исполняя кавер-версии песен, есть ли у тебя в репертуаре другие оригинальные песни, или есть какие-то планы их записи на будущее? Крисия: На данный момент, у меня нет других оригинальных песен. Я надеюсь, конечно, они у меня появятся в будущем. - Ты предпочитаешь придерживаться одного музыкального стиля, или любишь экспериментировать? Крисия: Я получаю удовольствие от исполнения различных песен, потому что каждая новая песня для меня - вызов, и я очень люблю изучать что-то новое. Но больше всего мне нравится петь песни с более джазовым и роковым звучанием. - Сложно ли для вас совмещать подготовку к конкурсу с занятиями в школе? Вы вообще любите учиться? Крисия: К сожалению, у меня совсем нет времени для отдыха, с того момента, как я начала готовиться к конкурсу. Расписание очень напряженное, иногда мне приходиться заниматься поздно вечером, поскольку большую часть дня у меня отнимает пение. Но вообще, мне очень нравится ходить в школу, я чувствую себя прекрасно среди своих друзей. Хасан и Ибрахим: Да, это нелегко, потому что всегда, когда мы участвуем в конкурсах, нам приходится пропускать школу, а затем нагонять. Но, конечно же, мы любим учиться. - Крисия, ты очень успешная в разных видах искусства, а рассматриваешь ли ты для себя какую-то другую будущую карьеру, кроме пения? Крисия: Я очень люблю танцевать, мне нравятся современные танцы. Я также мечтаю стать актрисой. Я бы очень хотела совместить все, что мне нравится делать. - Если у вас есть что-то добавить нашим читателям, то вы можете это сделать прямо сейчас. Крисия: Я хочу пожелать вам всем быть счастливыми и заниматься тем делом, которое вы любите. Верить в ваши мечты и следовать им. Хасан и Ибрахим: Наше послание читателям и всему миру, прежде всего послушать песню, которую мы будем исполнять, а после этого прислушаться к голосу вашего сердца и души, и, затем, проголосовать. - Спасибо большое за ваши ответы, удачи вам в подготовке, и скоро увидимся на Мальте! 7го ноября Крисия, Хассан и Ибрахим примут участие в телевизионном концерте, посвященном 55-летию телеканала БНТ, где исполнят вживую свою конкурсную песню "Planet of the Children". Шоу выйдет в эфир с 22:00 по 23:00 местного времени, и будет повторено 8го ноября на телеканале BNT World в 16:00, онлайн. Смотрите это выступление здесь. Посмотрите, как к шоу готовятся Ибрахим и Хассан в репортаже БНТ. Транскрипт (на болгарском) можно прочитать здесь. "Однажды наш отец позвал нас и спросил, не хотим ли мы принять участия в Евровидении", рассказывает Ибрахим. Конечно же, это было мечтой ребят - выйти на большую сцену и сыграть на фортепиано. В песни "Planet of the Children" они будут сопровождать Крисию на черном и белом фортепиано. "Ибрахим хотел играть на белом фортепиано. Я тоже хотел белое, и спор пришлось разрешать игрой камень-ножницы-бумага... Ибрахим победил, и потому он будет играть на белом, а я на черном фортепиано", говорит Хассан. Братья репетируют свое выступление каждый день. Представительница Болгарии на Детском Евровидении Крисия Тодорова встретилась в своем родном городе Разграде с ведущей телеканала БНТ Мирой Добревой. В шоу "Отблизо c Мира" в эту субботу юная певица поведает о том, что является большой поклонницей футбола, и одним из ее любимых времяпрепровождений в выходные является игра в футбол с мальчиками города. "Только если они хорошо играют", говорит Крисия. В шоу, которое выйдет в эфир в 11:00 местного времени на БНТ 1, станет ясным, что Крисия и футбольная команда "Лудогорец" - являются настоящей гордостью Разграда. Промо-видео к программе можно увидеть здесь. Крисия также расскажет, что каждый день спешит домой, чтобы рассказать о самых интересных событиях дня своей плюшевой собаке. Зрители также узнают, какая книга любимая у Крисии, и о ее радости от участия в Детском Евровидении. Также Мира Добрева побывала в школе Крисии и пообщалась с ее одноклассниками и учителями. "Целый день, несмотря на очень сложное расписание, Крисия ведет себя как настоящий профессионал, и улыбка никогда не сходит с ее лица. Даже, когда мы попросили ее спеть отрывок песни "Planet of the children", то она спела всю песню целиком - и так проникновенно, как будто она уже выступает на мальтийской сцене", говорит Мира Добрева. Педагог Крисии Свилена Дечева говорит, что на конкурсе в этом году очень много хороших песен, поэтому будет нелегко определить лучшую из них. Она добавляет, что старается, чтобы Крисия твердо стояла на ногах, оставалась спокойной и уравновешенной. "Ни я, ни ее родители не говорят ей, что она - самая лучшая, звезда и подобное. Прежде всего она ребенок - очень талантливый, но все равно ребенок. Мы хотим предотвратить ненужных взлетов, потому что после этого можно очень больно упасть обратно на землю". Полный эпизод с Крисией вы можете увидеть здесь. Начиная с 21:40 Крисия поет свою песню "Planet of the Children" вживую. Транскрипцию программы на английском языке вы можете найти здесь. Крисия отправится в Валлетту 9го ноября в сопровождении команды из 10 человек, в которую, помимо репортеров БНТ и бТВ войдут ее мама Ангелина и ее музыкальный ментор Евгений Димитров-Маэстро. Руководитель "Ку-Ку Бенда" сыграет своего рода роль буфера между девочкой и журналистами, и будет сопровождать ее на все встречи со СМИ на острове. 10-летняя сенсация из Болгарии будет в числе одной из самых юных участниц конкурса, а сразиться ей предстоит с детьми из 15 других стран. На сцене за фортепиано ее будут сопровождать братья Хассан и Ибрахим Игнатовы, а за ними будет бушевать торнадо из сухого льда, сообщает "Монитор". Официальное сообщество Крисии Тодоровой ВКонтакте опубликовало короткое видео с ее вокальных репетиций в преддверии конкурса "Детское Евровидение". Крисия Тодорова стала сегодня специальной гостьей программы "Още от деня" на телеканале БНТ 1. Интервью с юной певицей вы можете увидеть здесь (на болгарском языке). Она также вновь приняла участие в Шоу Слави, на этот раз исполнив там песню Юлии Началовой "Я бы хотела нарисовать мечту" на русском языке. Посмотрите, как братья Хассан и Ибрахим Игнатовы готовятся к своему выступлению на Детском Евровидении, исполняя вживую свою конкурсную песню "Planet of the Children". На самом конкурсе, правда, к их фортепиано не будет подключен микрофон, поэтому зрители услышат только фонограмную запись их игры. Начиная с понедельника, 27 октября, Болгарское Национальное Телевидение начнет показ превью видеоклипов на песни, принимающией участие в конкурсе Детское Евровидение этого года. Это будет происходить каждый день в 19:50 в традиционной детской рубрике "Лека нощ, деца" (Спокойной ночи, дети), которая выходит перед главной новостной программой "По света и у нас". Международный финал Детского Евровидения 2014 будет показан 15го ноября в 20:00 на телеканалах BNT 1 и BNT HD и здесь вы можете посмотреть промо-ролик этой трансляции. Всю неделю на Мальте за подготовкой Крисии, Хасана и Ибрахима будет следить ведущая БТВ Петя Дикова, которая подготовит для канала ряд видеоматериалов. Крисия, Хассан и Ибрахим записали видео-послание ко всем поклонникам Детского Евровидения. В воскресенье Крисия, Хассан и Ибрахим стали гостями программы "120 минуты" на телеканале бТВ, вы можете посмотреть интервью с представителями Болгарии здесь. В пятницу, Крисия, как обычно, была гостьей Шоу Слави, где она исполнила композицию "You Gotta Be" Des'ree. Также, здесь вы можете прослушать интервью Крисии Болгарскому Радио. Для того, чтобы поддержать себя в отличной форме для Евровидения, Крисия репетирует каждый день в течении 2х часов в Детском Центре в Разграде со своим педагогом Свиленой Дечевой. В основном она уделяет внимание исполнению песни "Planet of the Children", однако, каждые две недели она готовит и новую песню для "Шоу Слави". Педагог пытается не создавать ненужного давления на голос юной певицы, и помимо вокальных и некоторых занятий балетом, у Крисии все еще остается время на учебу и игры с друзьями. БТВ официально представило песню в программе "Шоу Слави", которая включало в себя интервью с маленькими артистами и композитором Евгением Димитровым. Посмотреть его вы можете здесь. Новостной репортаж БТВ можно увидеть здесь. БНТ представило песню в новостной программе "По света и у нас", которую можно увидеть здесь (отмотать на 39:00). "В истории Евровидения есть и другие примеры, когда частная и общественная телекомпании работают вместе, для того, что представить свою страну с наилучшей возможной стороны. Прежде всего, нас мотивирует талант этих трех детей - Крисии, Хассана и Ибрахима. Вся Болгария уже знает их, и они заслужили права выступить в таком престижном конкурсе. Когда я впервые услышала песню, я подумала, что ее исполняет очень опытная певица. И ее посыл универсален - надежда на лучший мир, это не только детская мечта, но мечта всех нас", говорит Вяра Анкова, генеральный директор БНТ. "Крисия, безусловно, очень одаренный ребенок, и поэтому мы очень рады тому, что с нами связались представители БНТ, которые также оценили ее талант. Песня, которую подготовил Евгений Димитров и команда "Седем осми" - "Planet of the Children", действительно невероятна. Надеюсь, что она тронет также не только нас, но и всех болгар, живущих зарубежом, и всех многочисленных поклонников конкурса, и 15го ноября они проголосуют за Крисию и ее композицию", сказал Павел Станчев, глава телеканала БТВ. "Planet of the children" - один из самых сложных проектов, над которым мы когда-либо работали, совмещающий вокал Крисии с прекрасным музыкальным исполнением Хассана и Ибрахима, невероятное звучание Плевенского Филармонического оркестра и типичную музыку группы Ку-Ку Бенд. Я думаю, что получился очень многообещающий результа, и я искренне надеюсь, что наша песня впечатлит не только болгар, но и всех зрителей Евровидения. Наши талантливые дети этого несомненно заслуживают", говорит Евгений Димитров - Маестро. Один из двух братьев Игнатовых, которые будут сопровождать своей игрой на фортепиано выступление Крисии Тодоровой на Детском Евровидении 2014, Хассан Игнатов, в эти дни принимает участие в 12м Международном Детском Музыкальном Конкурсе Ротари, который проходит в Москве. Талантливый ребенок смог отправиться в Россию по предложение фонда "Димитара Бербатова" и при поддержке Ротари клуба "София-Балканы". В полуфинале он исполнил следующие произведения: Скрябин - Прелюдия оп. 16 №1, Скрябин - Прелюдия оп. 39 №1, Бетховен - Соната оп.10 №2 (Аллегро) и "Дилмано Дилберо" Александра Владигерова. В финале он исполнил Шостакович - Концерт №2 (части 2,3). Видео его выступлений вы можете посмотреть здесь: 1й раунд, 2й раунд, Репетиция 1, Репетиция 2, Финал. Хассан занял 4е место, несмотря на то, что у него не было профессиональной подготовки к конкурсу, а единственным его музыкальным педагогом был его брат-близнец Ибрагим. Крисия Тодорова споет на Детском Евровидении только на болгарском языке, без английских вставок, как это делают большинство других участников. Это решение было принято организационной группой, отвечающей за болгарское участие в конкурсе. "Надо заметить, что зрители не всегда понимают текст песни, но если у артиста есть харизма, то они обязательно отреагируют на его выступление. На этот эффект мы и надеемся", говорит лидер Ку-Ку Бэнда Евгений Димитров. Это вторая песня, которую он и его команда написали специально для Евровидения. Первая попытка была в 2005 году, когда Слави Трифонов и Софи Маринова выдвигались на участие во взрослом Евровидении. Ожидается, что песня, представляющая Болгарию на Детском конкурсе будет представлена на следующей неделе. На этой неделе зрители Шоу Слави смогли вновь насладиться выступлением маленькой Крисии, которая представила песню Марианны Поповой "Вървя". "В этом проекте принимают участие трое необычайно талантливых 10-летних детей - Крисия, которая уже хорошо известна зрителям "Шоу Слави", и близнецы Хассан и Ибрагим Игнатовы - пианисты из города Шумена. С близнецами я познакомился на церемонии премии фонда им. Димитра Бербатова. Когда я проводил прослушивание на участие в проекте, я впервые услышал вживую, как они играют. Они оказались фантастическими детьми - невероятно талантливыми, постоянно гастролирующими, одерживающими победы на конкурсах. Хассан и Ибрагим очень харизматичны, с длинными волосами, как, по моему мнению и должны выглядеть настоящие артисты". "Все началось с приглашения от Болгарского Национального Телевидения Крисии представить Болгарию на Детском Евровидении. Благодаря этому приглашению мы начали работать совместно. Вместе с коллегами мы написали изначально песню для сольного исполнителя. Затем решили задействовать еще и пианистов, и, как мне кажется, у нас получилось очень милое и интересное трио. Хассан и Ибрагим будут играть на двух фортепиано, их часть будет записана вероятнее всего на следующей неделе в студии Болгарского Национального Радио в Софии. В общем, проект будет записываться в 7-8 различных студиях, и затем сведен воедино. Я могу лишь рассказать, что песня звучит очень романтично, как саундтрек к мультфильму"
"Я думаю, что дети заслуживают подобного к себе отношения, потому что я знаю, как важно, когда ты молод, что кто-то протягивает тебе свою руку и говорит: "Давай, я сделаю что-то для тебя, потому что это поможет тебе". Димитров также сказал, что в проекте не идет речь о коммерции, и он полностью финансируется командой, "и это хорошо, потому что мы это делаем от всего сердца и души, и потому что дети этого заслуживают". 8го сентября Крисия Тодорова выступила на праздновании Дня города Хасково в зале "Спартак", исполнив песни "Една Българска Роза", "Oh! Darling", "Simply The Best", "Светът е за двама" с Орлином Горановым. Видео с выступление Крисии вы можете увидеть здесь. Это может прозвучать неожиданно, но на данном этапе сезона Детское Евровидение собрало больше упоминаний в Болгарской прессе, благодаря выбору на конкурс невероятно популярной на текущий момент исполнительницы, чем во всех остальных участвующих странах, вместе взятых. Первоначальное объявление участия Болгарии в Детском Евровидении 2014 было сделано в рамках "Шоу Слави" 25 июля на болгарском коммерческом канале БТВ. Гостем программы была сама юная звездочка Крисия Тодорова. В шоу его продюсер и ведущий Слави Трифонов заявил о том, что он предложил национальному вещателю, телеканалу БНТ, концепцию проекта для участия в конкурсе и ждет их официального ответа. Сам БТВ не является членом Европейского Вещательного Союза и не имеет права участвовать в Евровидении. Трифонов отметил, что в вопросах национального престижа Болгарии между БТВ и БНТ нет соревнования, и потому они планируют объединить силы для участия в проекте. Слави рассказал, что участие в Евровидении станет новым вызовом для Крисии, и что его команда уже подготовила для нее песню. Она не будет звучать черезчур детски, и лично он верит в том, что миллионы европейцев с первой же минуты влюбятся в болгарское дарование. Проект, которым Трифонов планирует завоевать Европу, также включает в себя участие двух юных виртуозов фортепиано из Шумена - братьев Ибрахима и Хассана Игнатовых. В то время, как Крисия будет петь - они будут играть на фортепиано. Крисия, Ибрахим и Хассан едва достигли нижнего возрастного лимита, позволяющего принять участие в конкурсе - 10 лет. По мнению Слави трое детей восхитят телезрителей по всему миру, и прославят Болгарию на всю Европу. "Я сделаю Крисию мировой суперзвездой, у нее есть все необходимые для этого качества, песня уже готова, и это лучшее, что Болгария может представить. Несомненно, что следующим победителем станет именно Болгария, вы можете быть в этом уверены", страстно расписал Трифонов картину светлого будущего. Он также сообщил, что авторами песни стали участники группы "Ку-ку бенд", сопровождающей все "Шоу Слави" (включая Евгения Димитрова-Маэстро), а текст сочинил поэт Ивайло Валчев из Бургаса. Сама Крисия сообщила, что очень рада предоставившейся ей возможности спеть перед большим количеством телезрителей, но ее родители и учителя немного волнуются о том, чтобы это не сказалось на ее успехах в школе, где она только что перешла в четвертый класс. ЕВС официально подтвердил участие Болгарии в конкурсе 31го июля. Болгарское возвращение действительно стало заслугой слаженной совместной работы БНТ и самого популярного местного коммерческого вещателя БТВ. В "Шоу Слави" от 1 сентября Трифонов объявил, что управляющий совет БНТ единогласно утвердил Крисию Тодорову представительницей Болгарии на Детском Евровидении 2014 на Мальте. Слави также сообщил, что персонально позаботится о костюме, в котором Крисия выйдет на сцену конкурса, и, более того, полностью оплатит все расходы команды Крисии на поездку и проживание на Мальте. Свою песню для Детского Евровидения Крисия записала в сопровождении оркестра Плевенской Филармонии, съемки видеоклипа на нее также проходят в Плевене. Идея привлечь Плевенский оркестр возникла в результате переговоров его директора Любомира Дякоковски с композитором Евгением Димитровым-Маэстро и Слави Трифоновым, которому пришлась по душе эта идея, и он также предложил и съемки видео провести в Плевене, в зале драмтеатра им. Ивана Радоева. Запись песни прошла в филармоническом зале им. Эмиля Димитрова общественного центра "Согласие", управляемеого Максимом Горановым, и в его студии. Запись братьев Ибрагима и Хассана Игнатовых прошла отдельно в Софии, но они также примут участие в видеоклипе, играя на двух фортепиано на сцене театра, рассказал директор оркестра. без глад и страх, и война. it's not only a simple fairytale. Я хочу превратить в ребенка. Без голода, страха и войны.